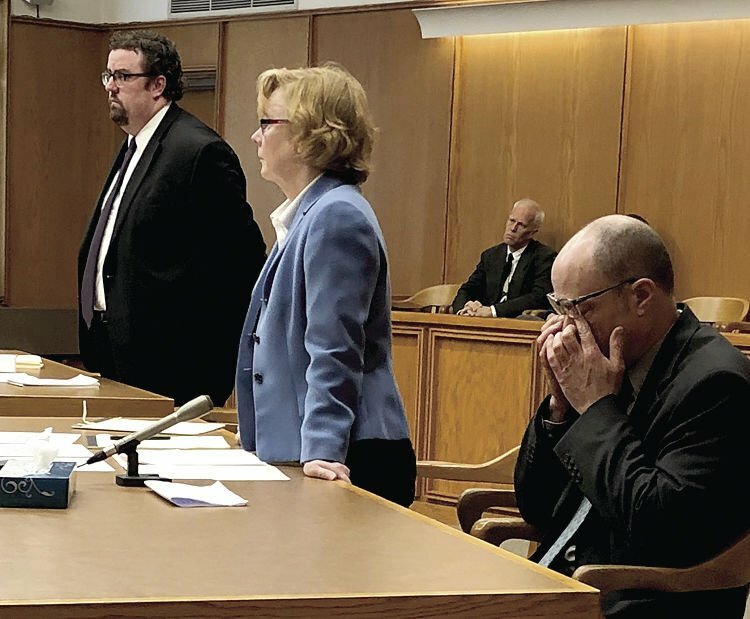 LACONIA — A Superior Court judge Monday accepted the guilty plea of a former school teacher on charges connected to his sexual relationship with a former student and sentenced him to prison just minutes before a jury was to be empaneled to hear the case. The hearing in Belknap Superior Court was the third attempt by prosecution and defense attorneys to get Judge James D. O’Neill III to agree to a negotiated plea for Michael Harbrook. Harbrook, 49, was facing two counts of witness tampering, and one count of falsifying evidence. 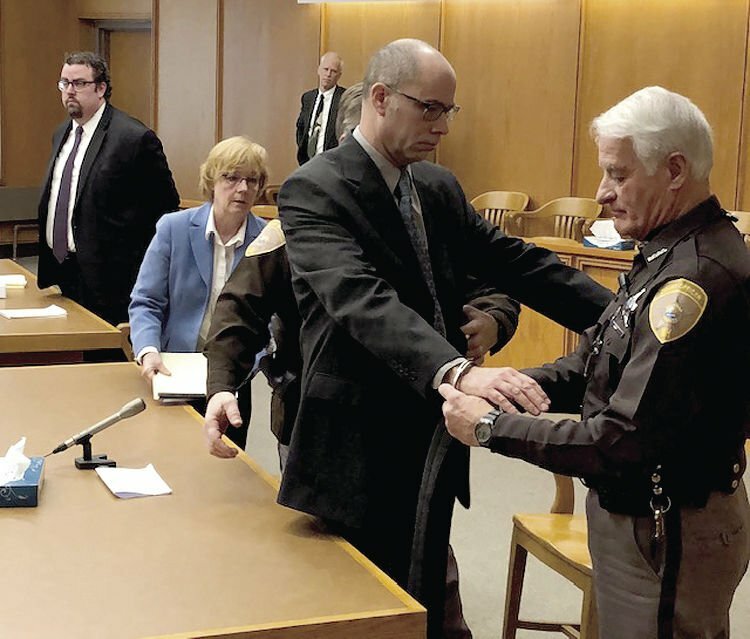 O’Neill had rejected two previous plea deals because they called for incarceration in the Belknap County House of Correction, and not in State Prison – something O’Neill indicated he found unacceptable. The charges stem from Harbrook’s romantic relationship with a teenage girl who was one of his students between 2012-16 at Kingswood Regional High School in Wolfeboro. O’Neill Monday sentenced Harbrook to one to two years in State Prison on one witness tampering charge, and a suspended 2½- to five-year sentence on the second charge, which will take effect once Harbrook completes his time in prison. The witness tampering charges stem from emails Harbrook sent to the victim warning her of the dire consequences, including taking his own life, should their affair become public. In defending the new plea deal, prosecutor Steven Briden, of the Carroll County Attorney’s Office, pointed out that it called for prison time, which O’Neill indicated was necessary, and also that Harbrook will now have to convince a parole board of his rehabilitation and remorse before he can be released before his maximum two-year sentence is up. “It’s a significant punishment,” Briden told the judge. “You violated a trust,” O’Neill told Harbrook. “So why is only one year an appropriate punishment?,” he asked. Standing next to his attorney, Caroline Smith, Harbrook responded that two years of intensive therapy have made him a changed man and that we was taking full responsibility for his actions, which included sexual acts with the victim starting when she was 16 years old. Harbrook was composed but grim-faced during the 30-minute hearing. At times his fingers trembled, and a couple of times he wiped the palms of his hands on the skirt of his suit jacket. To stress Harbrook’s remorse, Smith told O’Neill that her client was doing everything he could to avoid going to trial so his victim, now age 21, would not have to go through the ordeal of having to testify in court. Harbrook’s suspended sentence is conditioned on seven years of good behavior, In addition, O’Neill fined him $2,480, also suspended for seven years. He also ordered Harbrook to serve at least 40 hours of community service and to provide proof of that service; ordered that he serve two years of probation once released from prison; and forbade him from having unsupervised contact with anyone under age 18, except for his children and a nephew. Prosecutors dropped the sexual-abuse images charges last month in the interest of justice, they said. The count of falsifying evidence was dropped during Monday’s hearing. Harbrook resigned from the Kingswood High faculty and surrendered his teaching credentials in 2017 when he confessed to the affair and police began investigating his actions. The state Board of Education subsequently revoked his license to teach.